I&M plans to upgrade about 20 miles of 138-kilovolt (kV) transmission line connecting the Mississinewa, Gaston and Wes-Del substations in Delaware and Grant counties in eastern Indiana. The company expects to conduct most of the construction in the existing right-of-way, although it might need to acquire supplemental easements. Upgrades to the almost 100-year-old transmission line help reduce the likelihood of power outages and speed recovery of service when outages occur. The project involves replacing steel lattice towers with modern Breakthrough Overhead Line Design® (BOLD) structures that are shorter, have a smaller footprint and deliver electricity more efficiently. BOLD structures stand at approximately 85 feet tall and are located within an approximate 100-foot right-of-way corridor. Landowners can expect information on next steps from an agent with ORC Utility & Infrastructure Land Services(ORC), I&M’s right-of-way representative on this project. Field activities are scheduled to begin at the end of February and continue through spring. If you have questions, please feel free to contact Eric Warren, Lead O.R. Colan Contract Right-of-Way Agent, at (765) 598-5922 or at ewarren@orcolan.com. 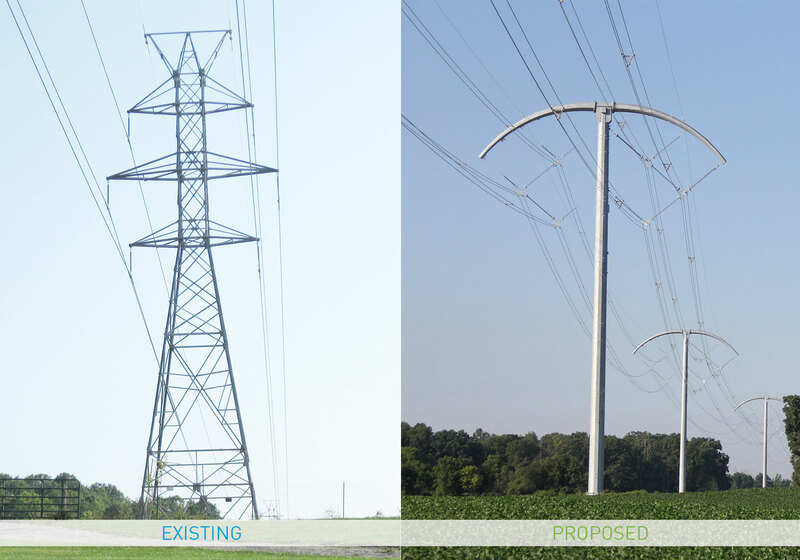 The project involves replacing steel lattice towers with modern Breakthrough Overhead Line Design® (BOLD) structures that are shorter, have a smaller footprint and deliver electricity more efficiently. AEP is committed to meeting the energy needs of customers while protecting the environment and natural beauty of the region.